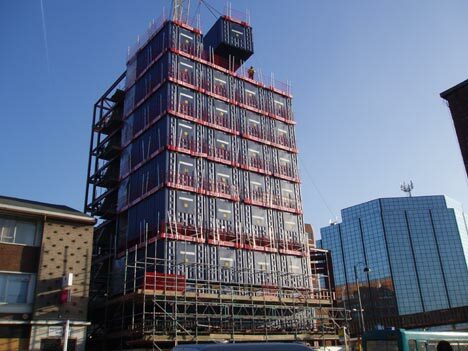 Travelodge is constructing a new hotel in West London, made entirely of re-purposed shipping containers. Each container has one fully furnished bedroom, and they will be stacked together to form a hotel. "Although it may not look like a hotel right now, you simply won't be able to tell the difference," said Paul Harvey, property and development director of Travelodge. The "box and breakfast" accommodation is cheaper and faster to construct than normal buildings. 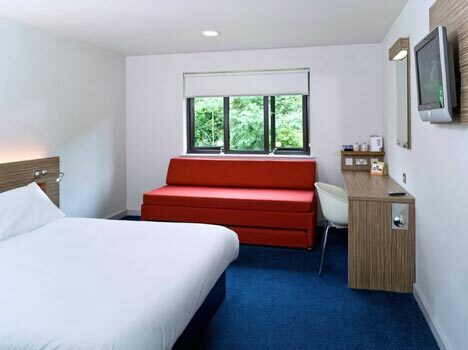 A 100-room Travelodge costs £5million to build, but a similar shipping container version would be £4.5million - and take 30 weeks to construct, instead of 40. It can also be taken apart and rebuilt again at speed, offering the prospect of short-term hotels for different needs. The steel containers could also be bolted together to create slightly more stylish - and quarters at music festivals and major sporting events." Talk about a creative way to re-use old containers and to reduce the consumption of new raw materials!